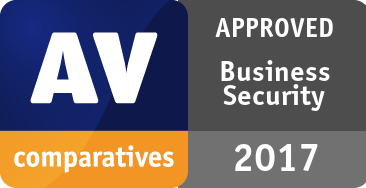 AV-Comparatives’ 2017 business software review looks at managed security products suitable for a company with a Microsoft Windows network. The review looks at some everyday tasks needed in networks. This report includes a wide variety of products. The question as to whether a product provides effective malware protection is answered by the certification test; a product can use any or all of its protection features to protect the test client, but the test result indicates only if the system was protected, not how. With regard to the management of each product, we note that some products require a new approach on the part of the administrator. For example, a firewall-based product that does not install any client software will require a different form of analysis from that used with a more conventional client-based endpoint protection product. The reviews have been done using VMs, as a lot of companies are using virtualization, even on the clients. As those are all business products, vendors had the possibility to configure their products. 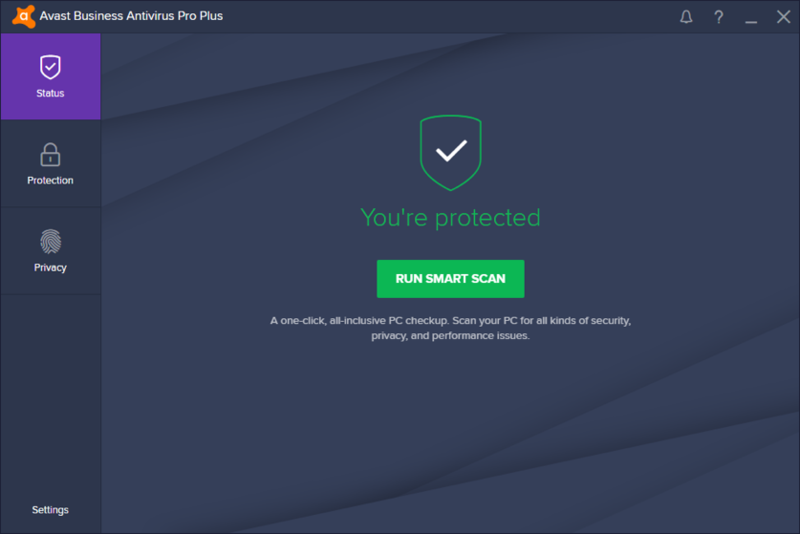 Avast Business Antivirus Pro Plus uses either a server-based or a cloud-based console to manage Windows and Mac OS clients, and Windows Servers. We have reviewed the cloud-based console here. 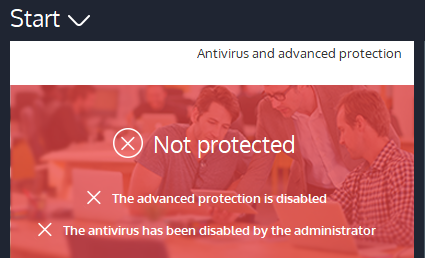 Avast Business Antivirus Pro Plus does not currently include EDR features. We feel that Avast Business Antivirus Pro Plus is exceptionally well suited to small business environments, especially those without full-time IT staff. We found the console very easy to navigate, with all the important functions very straightforward to find and use. Installing and using the client software will be very familiar to anyone used to consumer antivirus programs. We were also impressed at how fast the console updated to show changes made on the client, and vice versa. We suggest that administrators make use of the password-protection feature, to prevent users from changing program settings. The console is cloud-based, so no installation is required. The console can be navigated very easily using the menu panel on the left-hand side. Dashboard provides an overall status display, shown above. Notifications shows malware alerts and other notifications. Devices lists devices on the network and allows tasks to be carried out (see screenshot further down). 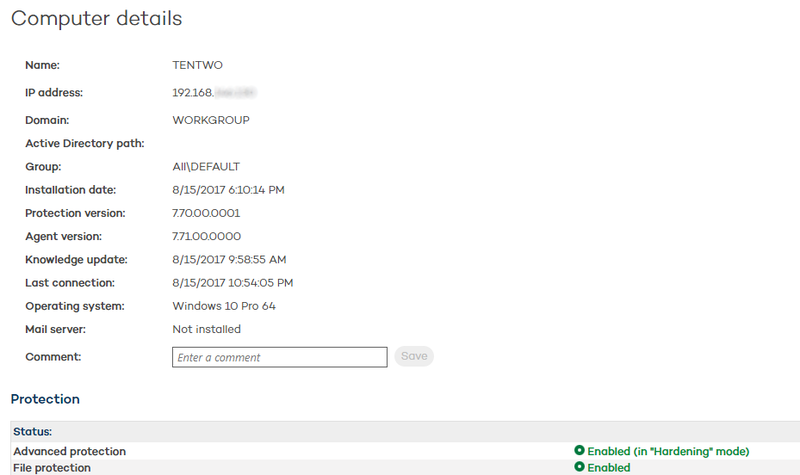 Tasks shows tasks (such as scans and updates) already created and lets the admin create new ones. Device Settings displays settings templates (policies) and allows these to be edited (see screenshot further below). In our test, we found that the status display responded very quickly – within a few seconds – if e.g. protection was switched on or off. The page can also be used to send a message for the user, and restart/shut down the device. All the tasks can be scheduled. We note that the administrator can create different settings for Windows workstations, Windows servers, and Mac OS workstations (in addition to different device groups). If password protection has not been set up, users have access to all the functionality, including settings, updates and quarantine. 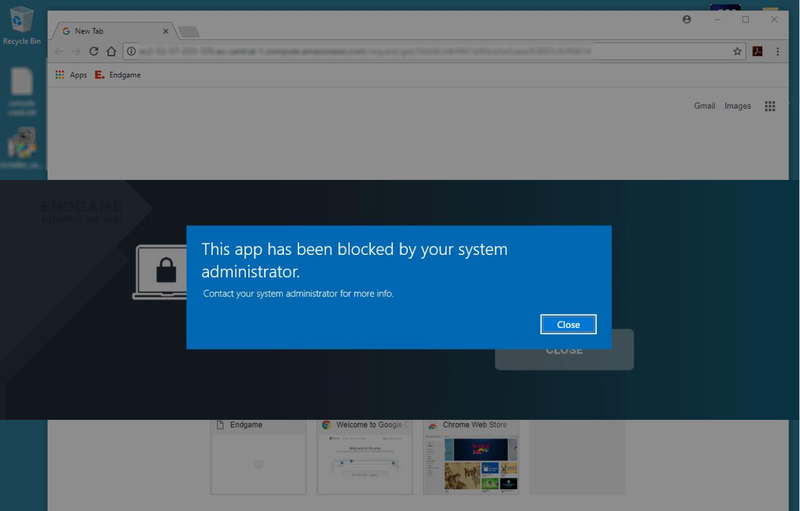 If the admin does enable password protection, he/she can choose between letting users access the GUI and run scans, and completely blocking user access to the GUI. 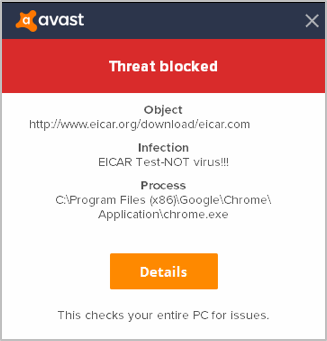 Avast Business Antivirus registers in Windows Security Center as the antivirus and firewall programs. 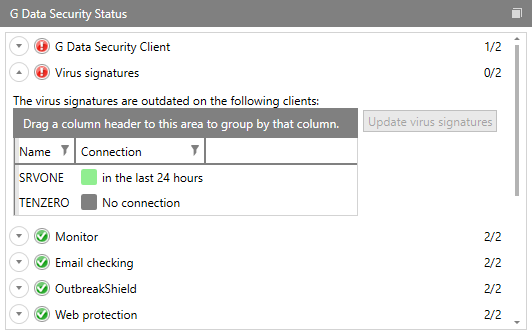 Windows Firewall and Windows Defender are disabled. No user action is required. The alert disappears after about 10 seconds. The user can reactivate the protection by clicking Turn on. This can be regarded as identical to the client software, although it is automatically configured during installation so that components not relevant to a server, such as the Avast firewall, are not installed. Firewall: The Barracuda NextGen Firewall can be supplied as a preconfigured virtual machine for VMware ESXi version 3.5 or higher, Citrix XenServer 6.2 or higher, open-source Linux XenServer 4.x or higher, KVM 5.4.2 or higher, and Microsoft Hyper-V. Hardware appliances and cloud-based appliances for Amazon AWS, Microsoft Azure, and Google Cloud Platform are also available. As its name suggests, the product includes a next-generation firewall with application and user awareness. As the product is network-based rather than client-based, there is no client software to install on workstations or Windows servers. Consequently, the functionality described in this review differs from that of traditional antivirus products. Product features include Avira’s signature-based antivirus engine, and Barracuda’s own Advanced Threat Protection (ATP) feature. ATP is a cloud-based sandboxing service specialized in real-time malware-analysis by running suspicious files on various operating systems. In the absence of any client software, a third-party endpoint antimalware product can and should be deployed on clients as additional protection layer; this would be essential for any devices that are used outside of the company LAN. 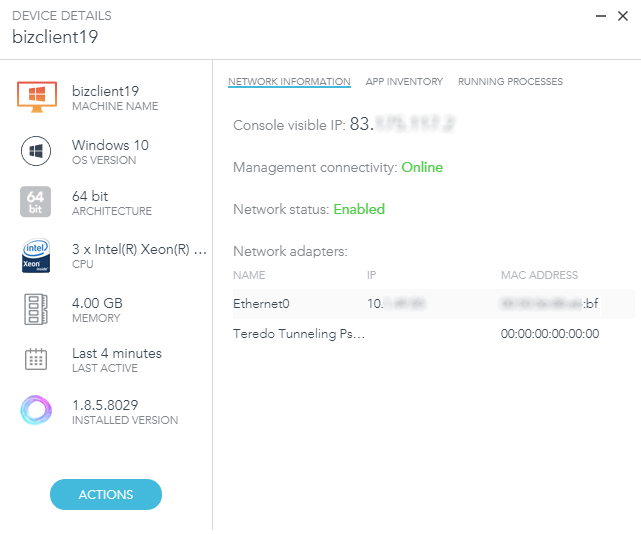 For VPN / SSL-VPN remote access Barracuda Networks provides free full VPN client software for Windows, macOS, and Linux as well as iOS and Android. 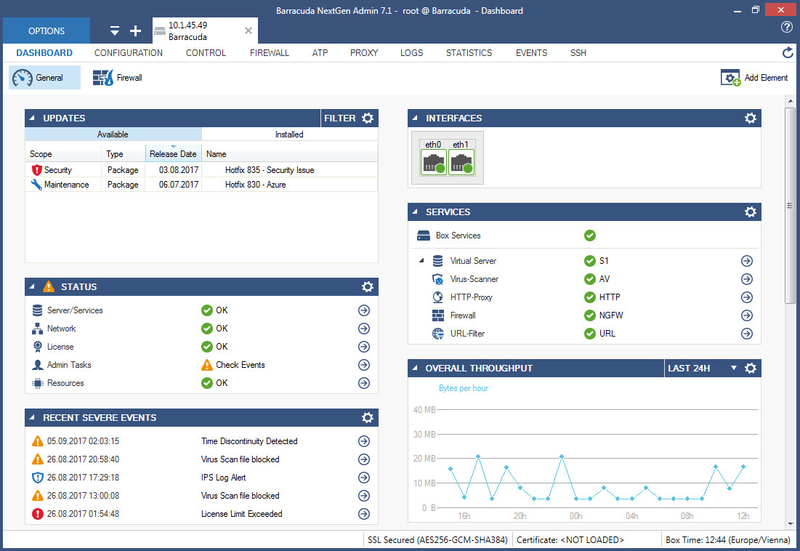 With regard to EDR features, Barracuda state the following: “As part of the optional Advanced Threat Protection capability, the Barracuda NextGen Firewalls detect botnet command & control traffic, block the traffic to prevent data exfiltration, and can automatically move the affected clients into a quarantine network. Barracuda NextGen Firewall is a network-based security and traffic-optimization device and offers no other EDR features by itself. However, Barracuda NextGen Firewall provides a REST-based API interface for integrating the SIEM or EDR tool of choice to block traffic to/from an infected device or deviate traffic from a detected device. Barracuda NextGen Firewalls F-Series are integrated to the Splunk SIEM system”. Barracuda NextGen Firewall provides protection for all the devices within a company LAN. By its nature, it’s less suited to smaller companies with limited infrastructure or to companies with a high percentage of staff members working outside the company office. However, for larger companies, it provides an entire layer of additional protection that supplements rather than replaces traditional endpoint protection software. The functionality of the firewall is provided by the preconfigured virtual machine, which needs to be incorporated into the company virtualisation platform. The network then needs to be configured so that the firewall functions as a gateway for the LAN. A Barracuda technician assisted us with the configuration of the firewall, as is their standard practice for customers. The administration software is a standalone executable and does not need to be installed. After starting the software, administrators only need to enter the IP address of the firewall and their login credentials to access the management console. 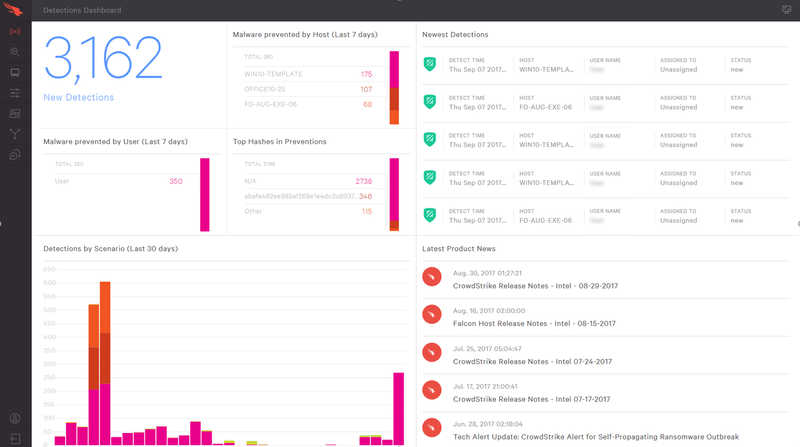 The console opens on the General tab of the Dashboard page, providing mostly status information, as well as a list of recently detected threats. Administrators may also choose to hide some sections from the Dashboard page, allowing them to concentrate on the most important items for them. The menu at the top of the console window allows navigation to the other main pages: Configuration, Control, Firewall, ATP, Proxy, Logs, Statistics, Events, and SSH. The content of each page is further divided into multiple tabs. In keeping with the nature of the product, there is no endpoint software to be deploy. Apart from the status overview and a short list of recent threats on the General tab, the main page also provides the Firewall Dashboard that list threats encountered by the system. More details about detected threats can be retrieved from the Firewall main page of the console. The ATP (Advanced Threat Protection) tab provides a list of detected threats. Administrators can download a report for each threat, including detailed static and dynamic analysis. The major program version of the administration software is displayed in the title bar of the console window. More detailed information about the software version running can be obtained from the Options menu. The firewall automatically scans incoming and outgoing Web, FTP and Mail traffic for threats. Built-in deep SSL-Inspection extends this to encrypted communications (HTTPS/SMTPS) via a sanctioned man–in-the-middle approach. Additionally, administrators can manually upload malicious files for analysis in the sandbox. Servers: Windows Server 2003/R2, 2008/R2, 2012/R2; Windows Small Business Server 2003, 2008, 2011. 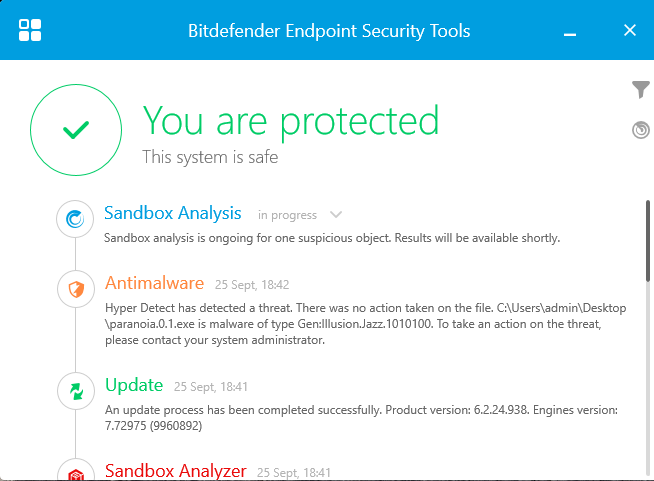 In our test, Bitdefender Endpoint Security worked flawlessly with Windows Server 2016. With regard to EDR features, Bitdefender state the following: “In the last quarter of 2017, Bitdefender will introduce “Bitdefender xDR” that amalgamates threat prevention, threat detection and threat response capabilities into a single solution. “Bitdefender xDR” will prevent known and unknown attacks, detect suspicious activities on the device, investigate the activities to understand impact and confirm presence of indicators of compromise. Attacks are validated by Bitdefender Sandbox Analyzer and Bitdefender Global Protective Network. Incident response actions include: deleting IOC’s, quarantining affected systems and tuning protection policies to automatically prevent future attacks”. 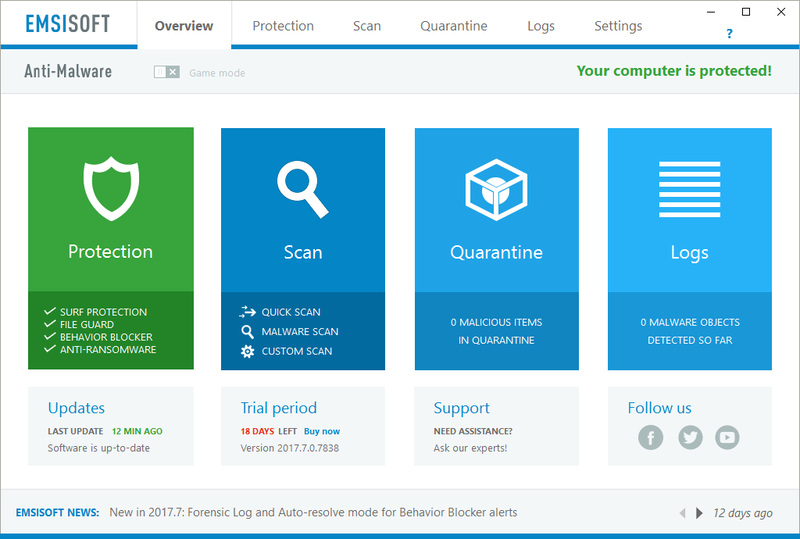 Bitdefender GravityZone’s console requires no installation or configuration, and we found its design to be very clean, simple and easy to navigate. We liked the fact that the Dashboard page can easily be customised to show different alerts or status items, and the installation options dialog that is (optionally) displayed after logging in makes deploying client software very simple. The client software is also very clearly designed, and allows users to perform essential everyday tasks. Whilst having the functionality needed to cope with larger networks, we feel the simplicity and ease of use make Bitdefender GravityZone particularly suitable for companies without full-time IT staff. The console is cloud-based, so no setup is necessary. 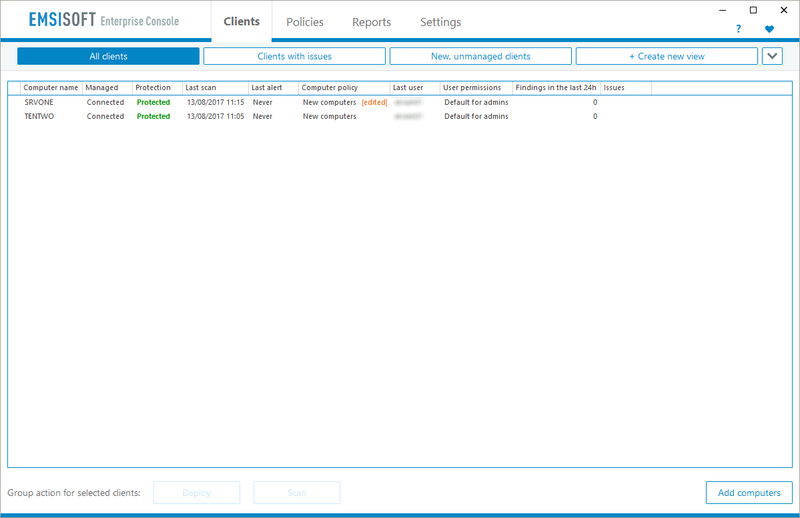 The console has a very simple and familiar design, with a menu column on the left-hand side allowing the admin to switch between Dashboard, Network, Policies, Reports, Quarantine and Accounts. These are shown on the Dashboard (home) page of the console, and consist of Malware Activity, Malware Status, Top 10 Detected Malware, and Endpoint Protection Status. By default, all users are prevented from disabling protection components. Users can run quick, full or custom scans, and check for updates. Bitdefender Endpoint Security Tools registers as the antivirus and firewall programs in Windows Security Center. Windows Defender and Windows Firewall are disabled. By default, components can only be activated or deactivated from the console. This can be regarded as identical to the client software, although some components (firewall, content control) are not installed. CrowdStrike Falcon also supports Mac and Linux operating systems. CrowdStrike Falcon uses a cloud-based console to manage protection for all clients. Please note that the prevention features need to be turned on for the product to automatically block threats. The management console is well designed and easy to navigate, allowing administrators to explore the functionality with ease. A wealth of detailed information on threats etc. is provided. The product is probably better suited to businesses that have their own IT department. The console is cloud-based and so no installation is necessary. 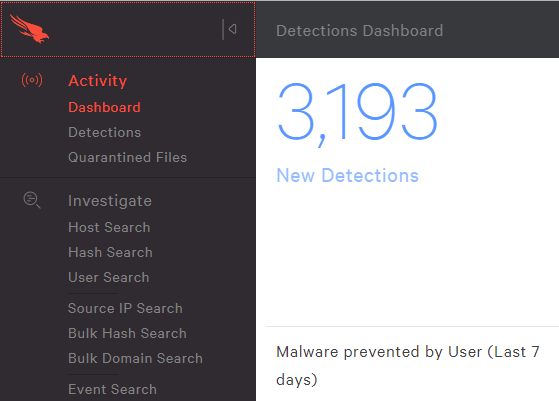 The Activity Dashboard (home) page of the console shows a variety of detection statistics, including New Detections, Malware prevented by Host, Newest Detections and Detections by Scenario. The Investigations page allows the admin to search for any item collected by the Falcon agent, including hosts, hashes, users and source IP. No GUI options for uninstall, command line uninstall can be setup to require administrator password. The client protection software registers in Windows Security Center as antivirus and antispyware. In our test, Emsisoft Anti-Malware endpoint protection software worked flawlessly on Windows Server 2016. The Emsisoft Enterprise Console can be run on a variety of other Windows Server and Windows client systems, and a version compatible with Server 2016 is expected in a future release. 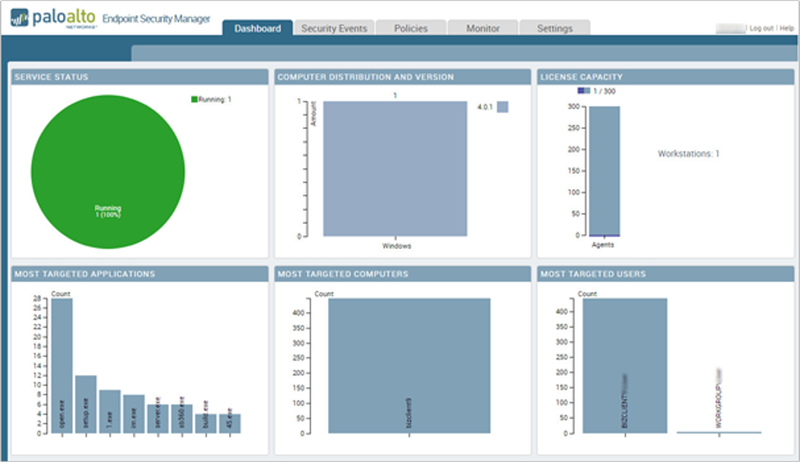 Emsisoft Enterprise Console is a server-based management console that can be used to manage Windows client and server computers in a business network. 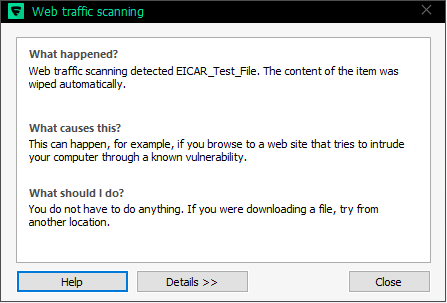 Emsisoft Anti-Malware does not include EDR as such, but has a behaviour blocker with forensic logging. The console has a very clean modern design, and the sensibly organised tabs along the top of the window make navigation very straightforward. In our test, we noted that commands are relayed from the console to the clients in a matter of seconds. With a little help from the excellent manual, the endpoint protection software is quick and easy to deploy, and provides a familiar GUI that lets users carry out everyday tasks. Emsisoft provide configuration scripts for client and server machines that make it very easy to prepare computers for remote installation. Details of where to find these scripts and how to use them can be found in the deployment section of the user guide. The console is installed by running a simple installer file on the server. The console is navigated by a row of tabs along the top of the window, these being Clients, Policies, Reports, and Settings. Each page has a number of sub-tabs. These are shown on the Clients (home) page of the console, as in the screenshot above. By default, users with Windows standard user accounts cannot reconfigure the product or disable protection. 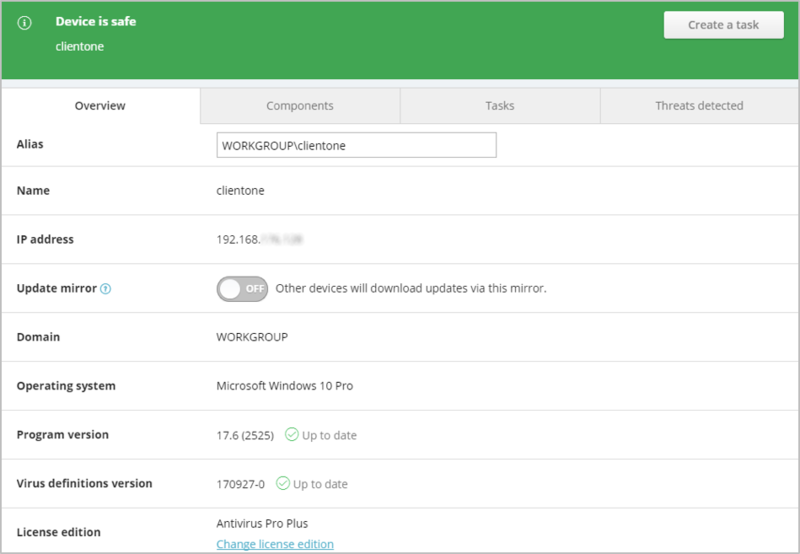 Custom user permissions can be configured in Policies in groups or based on AD permissions. Users can run scans and updates from the user interface . Emsisoft Anti-Malware registers as the antivirus program in Windows Security Center. Windows Defender is disabled. No user action is required. The alert closes after about 10 seconds. Clicking on the disabled component allows the user to reactivate it. This can be regarded as identical to the client software. Endgame uses an on-premise or cloud-based console and a single agent to manage prevention, detection and response, and threat hunting for Windows and Linux servers and clients. Support for Mac OS and Solaris is scheduled to be added to the product in Q1 2018. With regard to EDR features, Endgame state the following: “Endgame’s EDR capability continuously collects, enriches, encrypts, and stores endpoint telemetry data called ThreatFlow™. 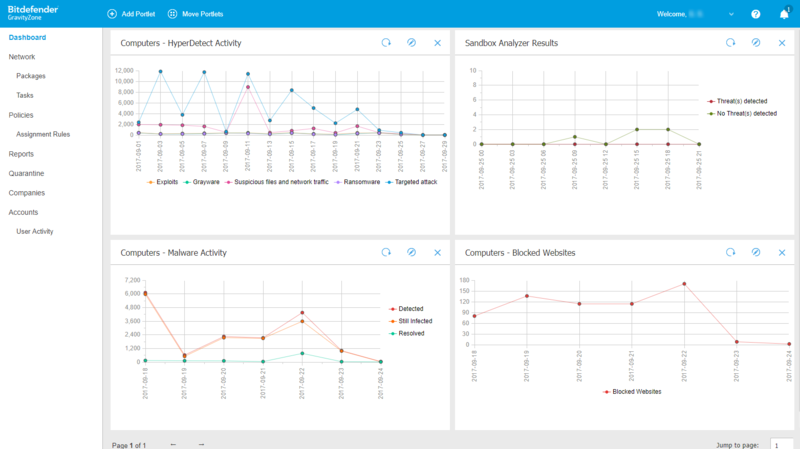 ThreatFlow™ collects event data for process execution, network communication including Netflow, DNS, File, Registry, various logon and other security events. Endgame Artemis®, powered by natural language understanding (NLU) technology, allows for access to ThreatFlow™ and facilitates root-cause analysis, triage, and response actions for every alert. A flexible two-way API can also be used to access data and respond. Threat hunting allows users to execute investigations across endpoints and identify threats, including embedded malware, injected code, malicious persistence, and other indicators of breach”. The nature of the product and its investigative capabilities mean that it will require some learning on the part of the administrator. However, we feel that the console design makes this as easy as possible, being very clean and well laid out, with familiar items such as status display and list of endpoints made very accessible. Easy navigation assists with the exploration of new features. The product is probably better suited to businesses large enough to have their own IT department. We used a cloud-based console in our test, so no installation was required. An on-premises deployment of the console is also available. The console is navigated via a left-hand menu column, with the items Dashboard, Endpoints, Alerts, Investigations, Search and Administration. 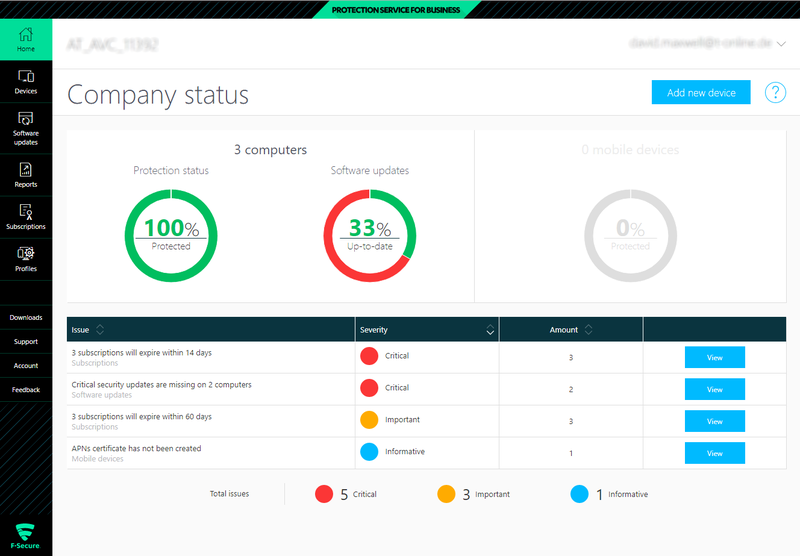 Dashboard provides an overview of the system security status, as shown in the screenshot above. 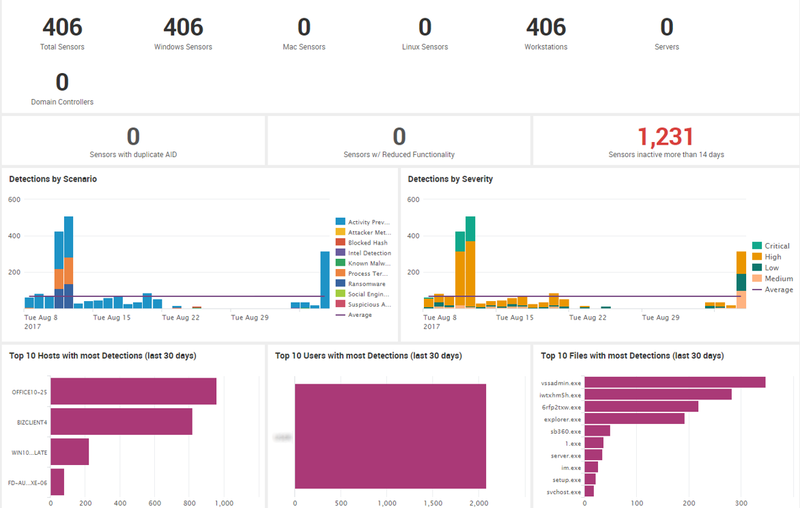 This displays the number of current alerts, along with Endpoint Status (active, inactive and unmonitored), as doughnut charts in the upper half of the page. The lower part of the page provides a breakdown of endpoints with the most alerts under Top Exploit Alerts, Top Malware Alerts and Top Fileless Alerts. Clicking on any of the doughnut charts opens an appropriate details page; for example, clicking on the hostname of the client at the top of the Top Fileless Alerts box opens a search query page displaying all the alerts of that type affecting the client in question. Tag allows the administrator to add any kind of text description to allow the client(s) concerned to be found and sorted in search queries. Selecting an alert type provides details most commonly used for rapid triage of each alert of that type. Columns can be clicked for further sorting, search, or aggregation of alerts. The Administration page allows users, alerts, whitelists etc. to be managed. 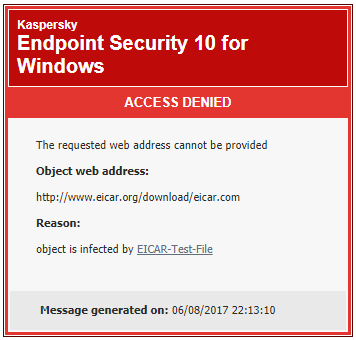 There is no visible interface to the client software, although an Endgame alert is shown when a malicious file is blocked. In the screenshot below, the Endgame alert is partially covered by a Windows alert. 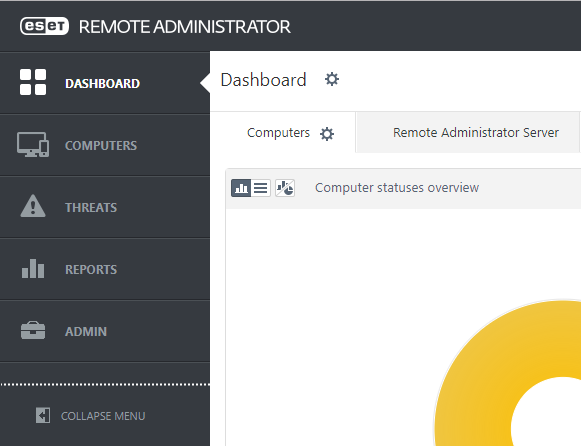 ESET Remote Administrator is available as a server-based console for Windows and Linux OS, as a virtual appliance for VMware, Oracle and Microsoft Hyper-V virtualisation systems, or as a preconfigured VM in Microsoft Azure. ESET Remote Administrator is a powerful console that can easily cope with large-scale corporate networks. Its design and layout make basic everyday tasks easy to find. This, combined with very familiar client software and a range of excellent help features, means it could be employed successfully in small businesses too. The console is navigated by means of a menu bar on the left-hand side. This can be expanded to display the names of the links, or collapsed to save space. The Dashboard (home) page shows an overview of the state of the network, while Admin allows items such as users, installation packages, licences and certificates to be managed. These are shown on the Dashboard page, with various items including Computer Status, Computer Problems, Operating Systems and Rogue Computers, in the form of doughnut charts. The page can be customised by changing the items shown, size of the tile, and type of chart, among other things. 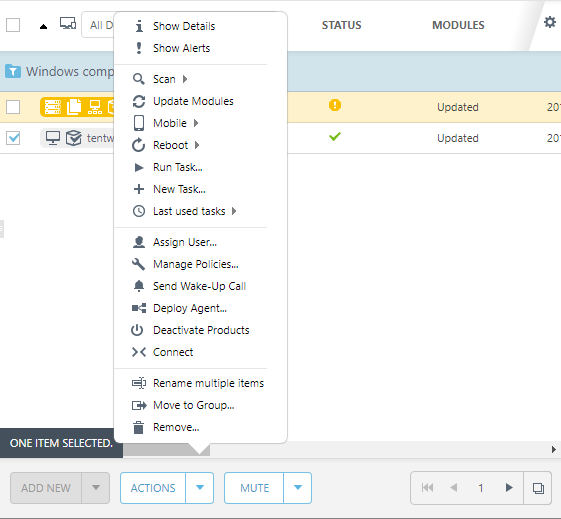 The same menu can be used to remove a device from the console, run an update (Update Modules) or run a scheduled scan by means of creating a task. By default, users with standard user accounts cannot disable any protection features. Users can run updates and a full range of scans from the GUI. ESET Endpoint Security registers in Windows Security Center as the antivirus and firewall programs. Windows Defender and Windows Firewall are disabled. No user interaction is required. The alert closes after a few seconds. The protection can be instantly reactivated by clicking Enable Real-time protection. This is very similar to the client software,although there are some differences on account of its server-based role. For example, the program relies on the Windows Server Firewall rather than installing the ESET firewall, and the interface includes an additional menu item for log files and a product information section at the bottom of the window. 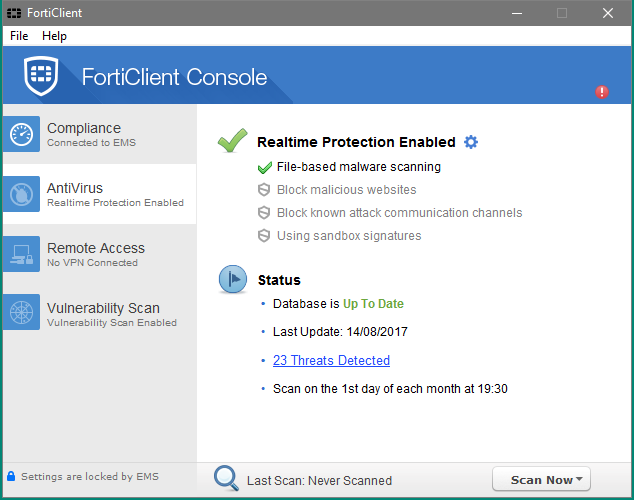 FortiClient Enterprise Management Server is a server-based console used to manage endpoint protection software for Windows and Mac OS clients and Windows servers. FortiClient Enterprise Management Server is easy to install and very straightforward to navigate. It has the ability to manage multiple domains/workgroups, making it suitable for larger networks, although the simplicity of its layout means it could work well for smaller networks too. A comprehensive and detailed user manual is provided (http://docs.fortinet.com/uploaded/files/3269/forticlient-ems-v1.0.2-admin-guide.pdf). We would advise administrators to consult the manual before undertaking deployment or other operations, as we did not always find using the console to be completely intuitive. For example, when creating an installation package, the admin has to deliberately add the antivirus and firewall components, which are not included by default. It is also necessary to ensure that these components are included in the default policy, and that this is assigned to all clients/client groups. To uninstall FortiClient endpoint protection software, the client computer has to be disconnected from the management console before the Uninstall option appears in its Control Panel. The console is installed by running the installer and completing a straightforward setup wizard. These are shown on the Dashboard (home) page of the console. Updates can be run in similar fashion from the Action menu, which can also be used to remove devices from the console. By design, client settings may only be changed from the console, so as to prevent accidental changes by end users. 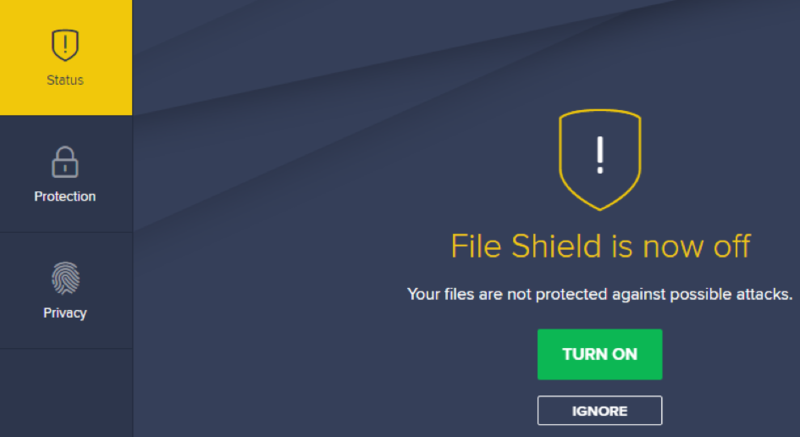 FortiClient registers in Windows Security Center as the antivirus program, and Windows Defender is disabled. Fortinet describes the FortiClient Firewall module as an application layer firewall; that is to say, it monitors network traffic generated by applications. It is to be regarded as a supplement to Windows Firewall, not as a replacement for it. If it is installed and enabled, it does not deactivate Windows Firewall nor register in Windows Security Center as a system firewall. No user action is required. The alert persists until closed. Protection using antivirus signatures can only be reactivated by enabling Realtime Protection the EMS console. 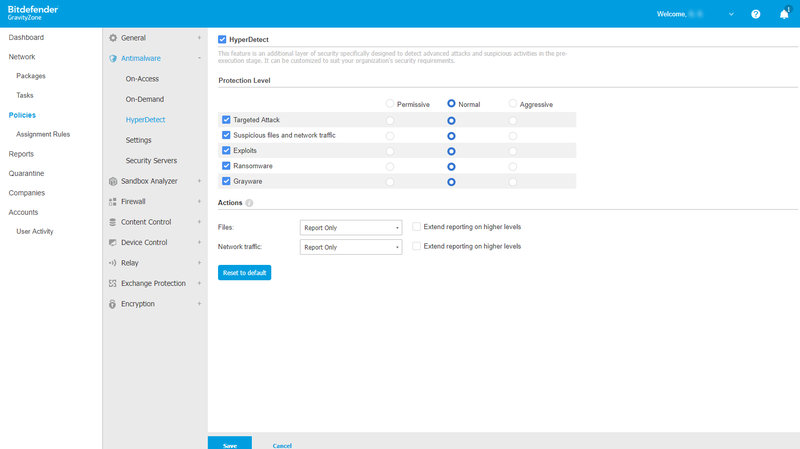 Similarly, for other security features such as webfiltering and application firewall, if the feature is disabled in the profile, the FortiClient console will reflect this change as soon as the updated profile is received and applied from EMS. This is identical to the client software. Clients: At the time of writing, system requirements for Workstation Security were shown on the F-Secure website as Windows Vista, 7, and 8/8.1, although the software worked flawlessly under Windows 10 in our test. F-Secure Protection Service for Business uses a cloud-based console to manage Windows and Mac OS clients, and Windows Servers. With regard to EDR, F-Secure say they are to release an EDR product during 2018. F-Secure Protection Service for Business impressed us with its very clear and intuitive console design, which makes finding and using everyday functions very straightforward. Client software is easy to install and use. Overall, the package is very user-friendly and consequently ideal for small businesses that do not have a full-time IT administrator. We feel that a simple and effective means of preventing users disabling protection would be a valuable addition. The console is cloud-based and so does not require installation. There is a single menu bar down the left-hand side of the page, allowing the admin to navigate the console’s functions easily. Reports provides logs of malware detections etc. 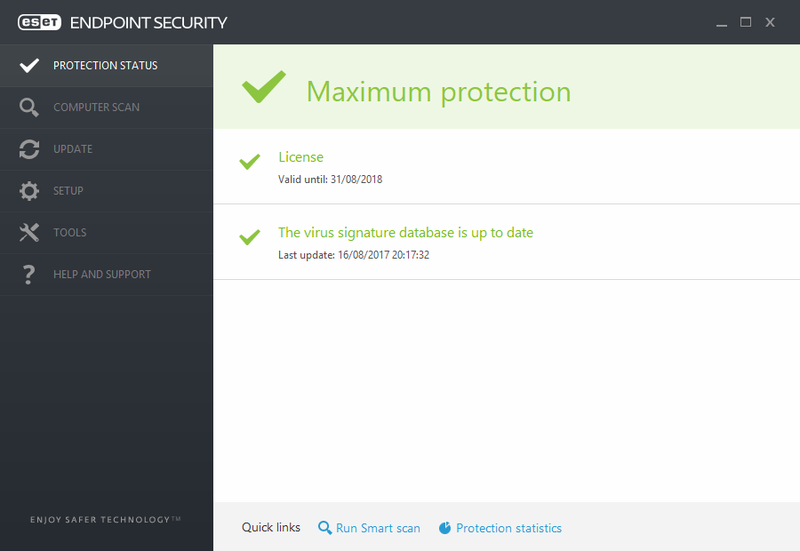 These are shown on the home page of the console, with separate displays for protection status, software updates, subscriptions due to expire, and critical security updates. By default, all users have full control over the client software. Despite creating and applying a policy with the Allow users to unload products function disabled, we were not able to change this in our test. By default, users can access the full range of functionality and settings in the program. 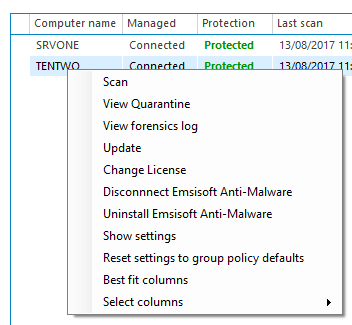 F-Secure Workstation Security registers in Windows Security Center as antivirus and firewall. Windows Defender and Windows Firewall are disabled. The user has to go into the program settings to reactivate the protection. G DATA Business Security uses a server-based console to manage Windows, Mac and Linux clients, Windows Servers and mobile devices. 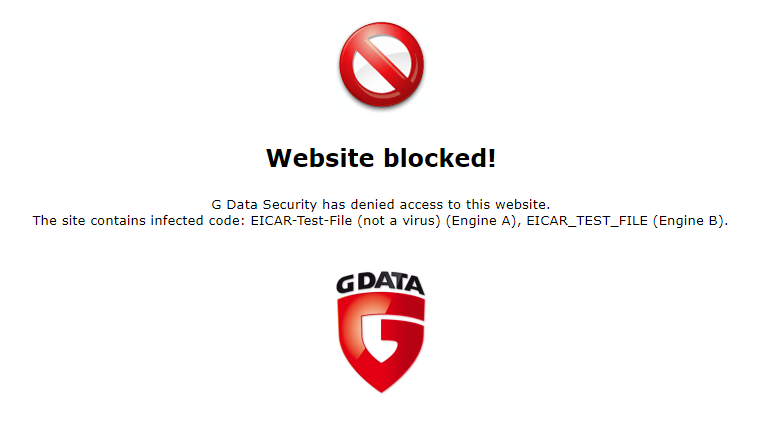 G DATA Business Security does not currently include EDR. G DATA Business Security provides a sophisticated management console that could be used to manage larger networks with multiple servers. It offers a wide range of functions, but its design – similar to the Microsoft Management Console in Windows – will make it familiar and easy to navigate for professional system administrators. The endpoint protection software has a minimalist interface, although admins can allow users to carry out simple everyday tasks such as updates and scans. The user manual for the product comes conveniently packaged with the installation files. 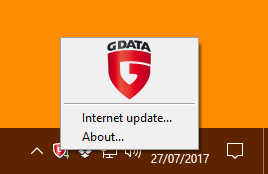 The section Installing G DATA Security Client includes valuable information on preparing client PCs for remote installation (amongst other things). The management console is installed on the server by running a single installer file; this includes Microsoft SQL Server 2014 Express, which can be seamlessly installed by the wizard, unless the admin chooses to use an existing SQL Server instance. The left-hand menu column allows the admin to select individual computers or computer groups, details of which are shown in the main right-hand pane. The default Dashboard view provides an overview of the security status, including details of individual components, and malware detections and scan reports. A row of tabs along the top of the main pane displays other views, including details of clients, client settings (please see screenshot further below), tasks and logs (shown below). This is displayed on the Clients tab of the main window pane. 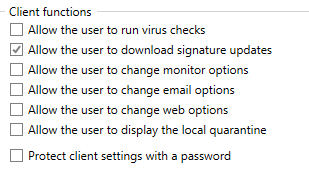 This can be set on the Client Settings tab of the main window pane – please see screenshot in the “Tasks available to users” section below. G DATA Security Client registers as the antivirus program in Windows Security Center. Windows Defender is disabled. 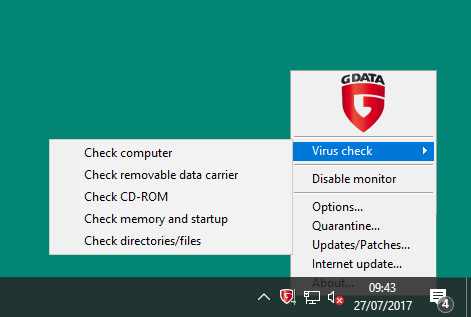 If real-time protection is disabled, a small warning triangle appears over the System Tray icon, and the shortcut menu displays the item Enable monitor, clicking which reactivates the protection. This can be regarded as being identical to the client protection software. Kaspersky Endpoint Security for Business Advanced uses a server-based console to manage software for devices with Windows, Mac, Linux, Android, iOS and Windows Phone operating systems. Kaspersky Endpoint Security for Business Advanced allows a very comprehensive range of devices to be supported. The design of the MMC-based console will prove very familiar and easy to navigate for Windows administrators. We particularly liked the opening page, Kaspersky Security Center 10, which is essentially an illustrated FAQ page (please see screenshot further below). Consideration has been shown for less-experienced administrators new to AV management consoles, by explaining things such as policies and group tasks. The installer file runs a fairly standard Windows installation wizard. 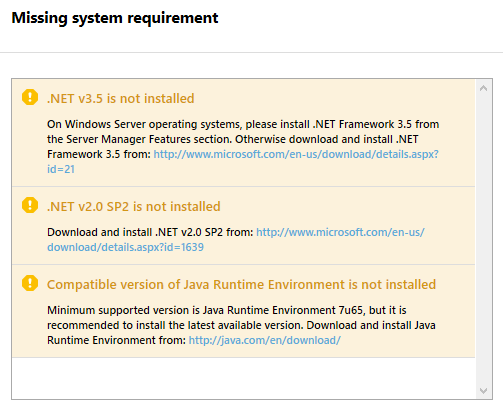 This points out that .NET Framework 3.5 is required; the admin can install pause the wizard, install the component, and continue with the installation afterwards. 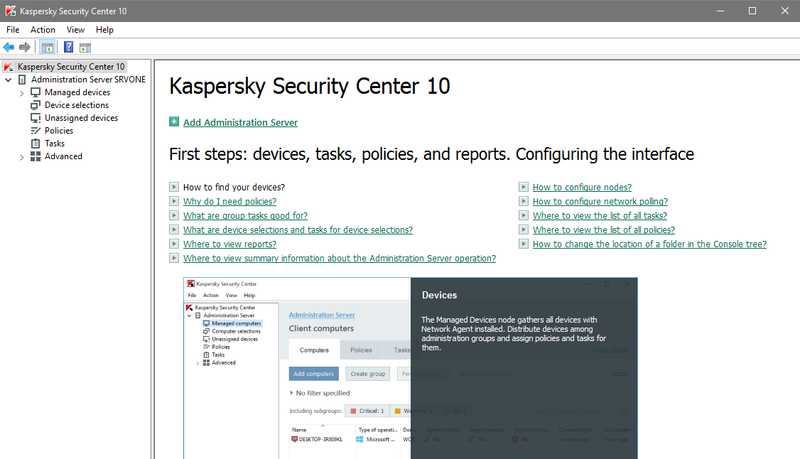 Kaspersky Security Center uses the Microsoft Management Console framework, with the left-hand pane used to show the menu items Managed devices, Device selections (used to group together devices in order to perform a particular action such as updating), Unmanaged devices, Policies, Tasks and Advanced (various items including Remote Installation and Mobile Device Management). 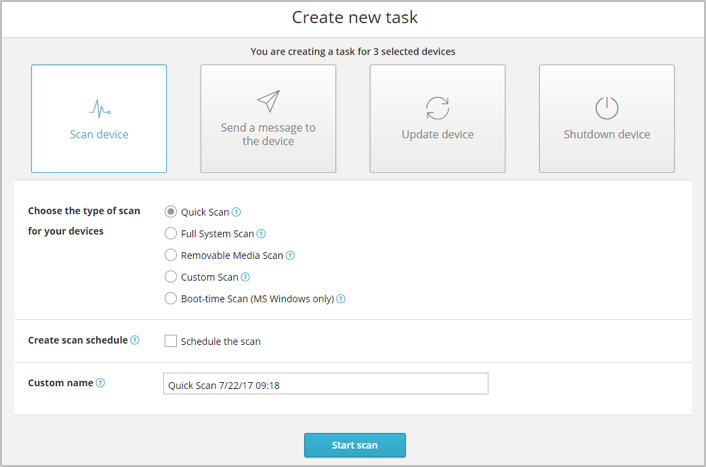 Updates and scans, including scheduled scans, can be run by selecting devices on the Managed devices page and clicking Perform action, Create a task and running the task wizard. By default, all users are able to disable the endpoint protection software. However, this can be prevented by creating and applying a policy with password protection. Kaspersky Endpoint Security registers as the antivirus and firewall programs in Windows Security Center. Windows Defender and Windows Firewall are disabled. This can be regarded as identical to the client software, except that some components not relevant to a server, such as instant messenger protection, are not installed. Palo Alto Networks Traps advanced endpoint protection uses a multi-method prevention approach that secures endpoints against known and unknown malware and exploits and pre-emptively blocks these cyber threats from compromising endpoints. Palo Alto Networks Traps does not contain EDR features as such. However, the vendor states the following: “Traps currently can collect and display information around all executed process and office documents. 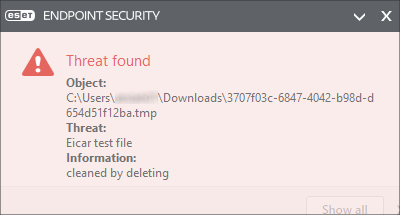 This is visible from the Hash Control screen within the Endpoint Security Manager. Traps can also perform queries against the deployed agents. These queries include the ability to look up a registry key, a file or a folder path. 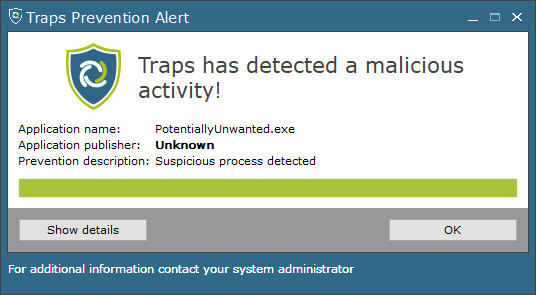 Traps, via the WildFire integration, can provides a detailed report for every file executed in the environment. This report includes all information around the behaviours a file exhibited when launched. Lastly, Palo Alto Networks has a separate product that came through the acquisition of the company LightCyber”. 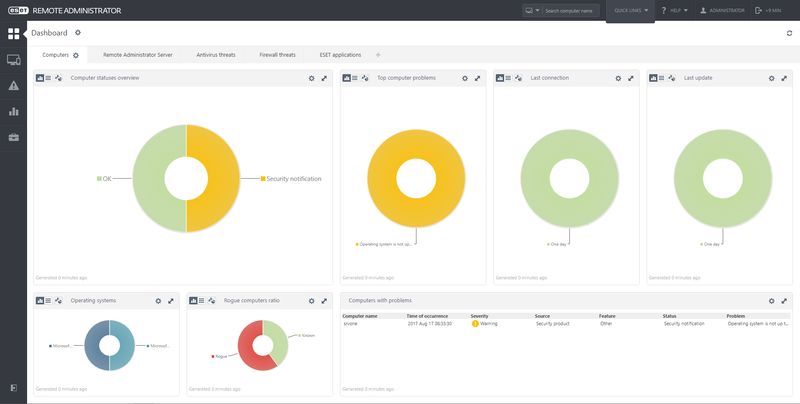 Whilst the functionality of Palo Alto Networks Traps differs from that of conventional endpoint security products, the Palo Alto Networks Traps Endpoint Security Manager console makes discovering the new features very intuitive. We found the console very well designed and easy to navigate. The product is probably best suited to businesses large enough to have their own IT department. The Endpoint Security Manager console can be navigated using a neat row of tabs at the top of the console (Dashboard, Security Events, Policies, Monitor, and Settings). The console opens on the Dashboard page. This provides version and licensing information, as well as the connection status of managed clients. It also provides statistics about which users, computers and applications have been most frequently targeted by threats. The Summary section of the Security Events page displays an overview of threats encountered on the network. Threats are organized into groups according to their detection status (Prevention, Notification, and Post Detection) and further divided according to the type of threat encountered. There are no malware-protection tasks that can be carried out by the user, although it is possible to change the interface language under Settings. 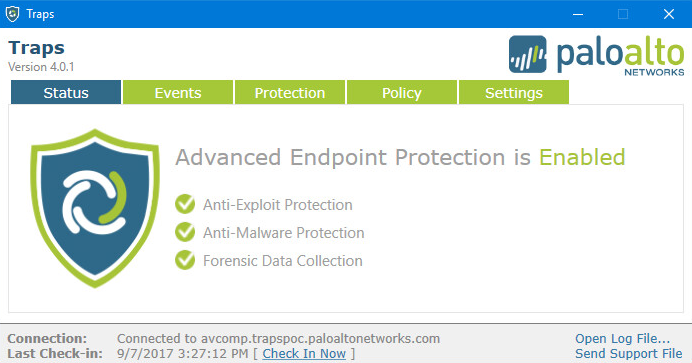 Palo Alto Networks Traps registers with Windows Security Center as the antivirus program. Windows Defender is disabled. Administrators have the option of disabling the registration and allowing both Microsoft Windows Defender and Palo Alto Networks Traps to run together on an endpoint. No user action is required. The alert persists until closed by the user. Panda Adaptive Defense 360 uses a cloud-based console to manage security software for Windows clients and servers. We found Panda Adaptive Defense 360 to be very simple to use. 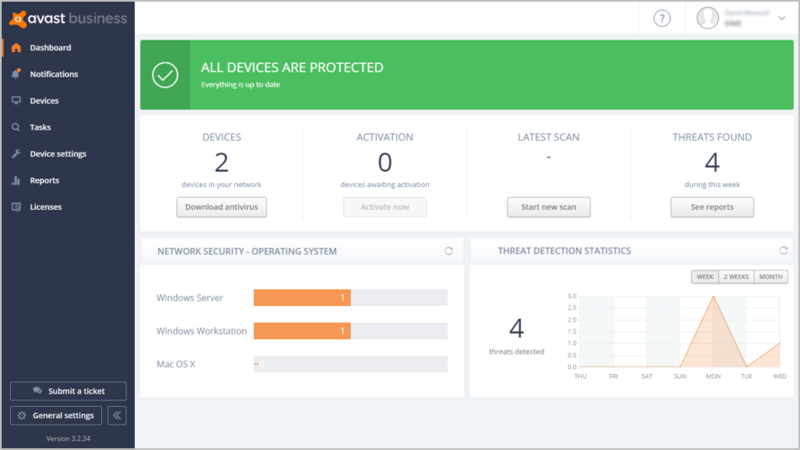 Due to the cloud-based console and easy installation, getting protection up and running is a quick and simple task. The design of the console is very clean and easy to navigate, making it particularly suitable for smaller businesses without permanent IT staff. Bigger companies will appreciate its EDR features too. The console is cloud-based, so no setup is required. The console opens on the Status page. A slim, neat menu bar along the top of the console provides access to the pages Computers, Installation, Settings, Quarantine, Reports and Other Services. These are shown on the Status (home) page of the console. In addition to the basic status information shown at the top of the page (number of computers with any sort of problem), more detailed items are shown below, including Classification of all programs run and scanned, malicious programs and exploits, currently blocked items being classified, potentially unwanted programs, detection origin and web access. Updates are run on a schedule, details of which can be edited under SettingsDefaultWindows and LinuxUpdates. A computer can be removed from the console by clicking Computers, selecting the device in question, and clicking Delete. The user interface of the client software does not allow users to disable any protection components, this can only be done from the console. 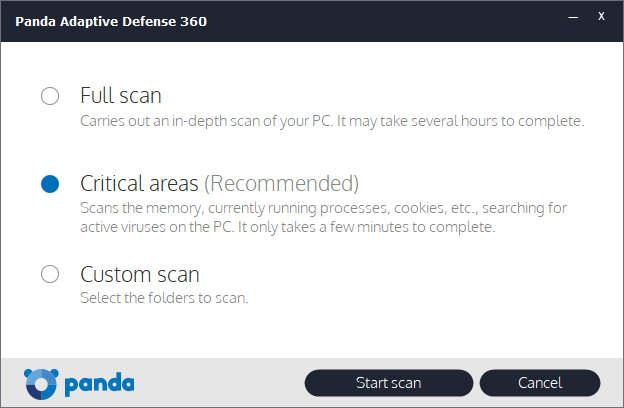 Panda Adaptive Defense 360 registers as the antivirus program in Windows Security Center, and Windows Defender is disabled. The user does not need to take any action. The alert closes after a few seconds. The protection has to be reactivated from the console. SentinelOne uses either a server-based or a cloud-based console to manage Windows, Mac OS and Linux clients, plus Windows and Linux servers. 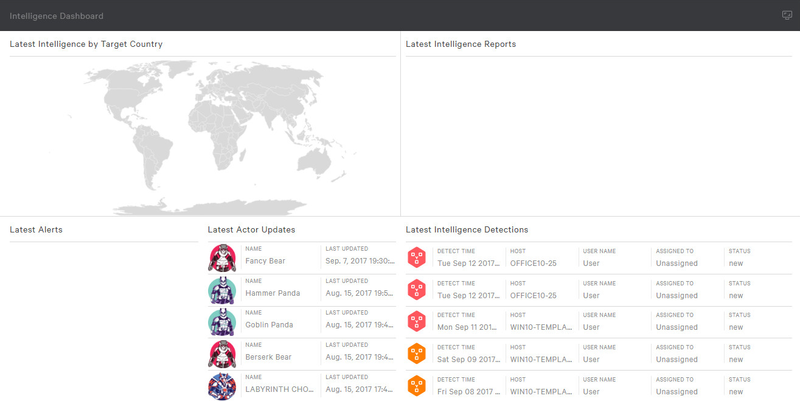 With regard to EDR features, SentinelOne state the following: “SentinelOne offers several key EDR capabilities: a) detect security incidents at runtime using behavioural AI to monitor processes, files, registries, network etc; b) contain incidents at the endpoint to minimize impact; c) investigate incidents to understand execution characteristics and respond holistically; d) automate remediation and rollback of the endpoint to a pre-infection state to help organizations swiftly recover from any incidents. 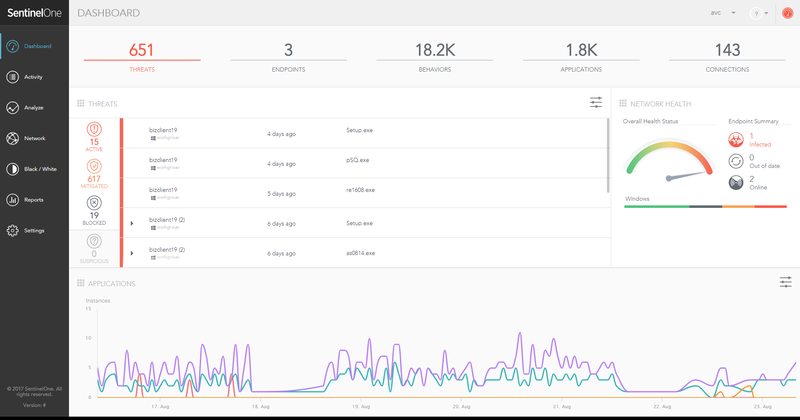 SentinelOne also enables organizations to drive IOC search and threat hunting, including visibility into encrypted traffic, with the Deep Visibility module. Customers can also augment their security teams with remote monitoring and response services via SentinelOne Vigilance”. We tested the cloud-based version of SentinelOne’s console, so no installation or configuration was required. The console can be navigated using the menu panel on the left-hand side. This provides links to Dashboard (system status overview), Activity (actions taken by the software), Analyze (analysis of suspected malware), Network (list of protected devices), Black/White (blacklist/whitelist), Reports, and Settings. 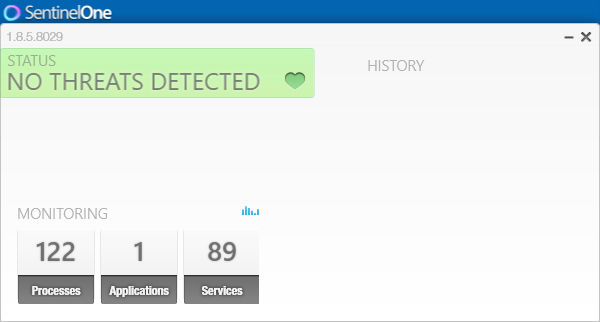 The Threats section on the Dashboard page lists all threats monitored on the network. Threats are divided into four categories: Active, Mitigated, Blocked, and Suspicious. Threats in the Active category are always displayed first in the threat list. 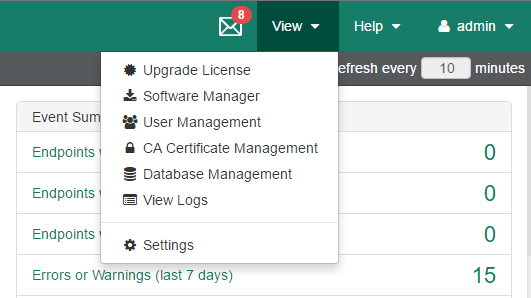 The other categories can be added and removed from the threat list by clicking the respective icon in the management console. 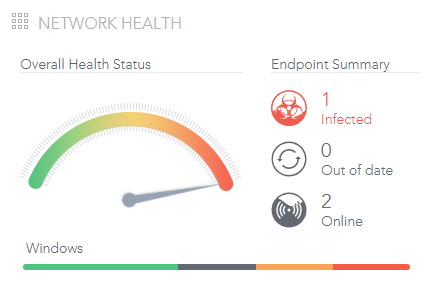 Furthermore, the Network Health section on the Dashboard page provides a status summary for connected endpoints. The section displays the number of endpoints with detected infections or out-of-date protection software, as well as the number of endpoints currently online. If the endpoint was configured in alert-only mode, an administrator can select a manual mitigation action such as Remediate or Rollback from the More menu and mark the threat as resolved. However, according to the vendor, manual intervention should rarely be needed. Although not set by default, SentinelOne recommends a kill or quarantine mode which automates the mitigation process. The version of the installed endpoint protection software can be accessed by opening the details window of the relevant client from the Network page or by clicking on any device name from everywhere in the console. Scans can be run by selecting client devices on the Network page, then clicking the Actions button, Initiate Scan. 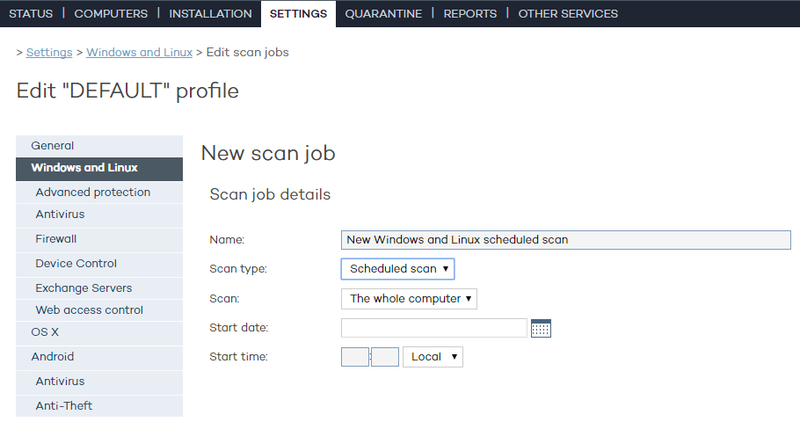 There is a switch for the installer program (/scheduleFullScan) that runs a full scan after installation. The scan is being done by its Deep File Inspection feature. 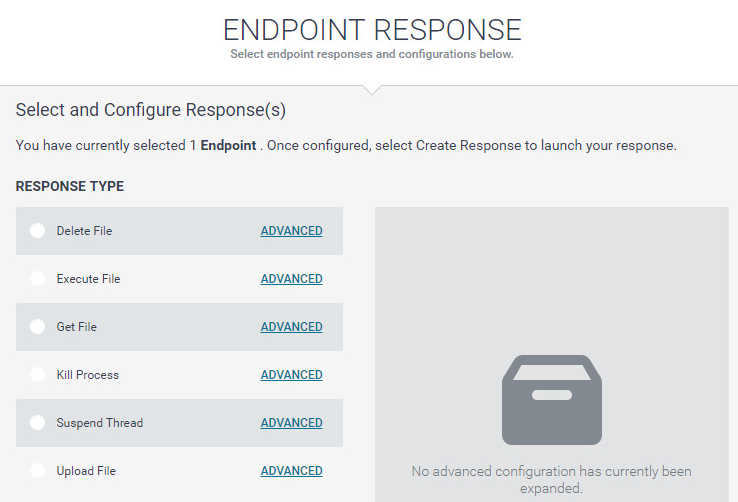 Updates to endpoint software or the management console can be performed in the Updates section of the Settings page. Using the Actions menu on the Network page, an administrator can uninstall the endpoint software of connected clients, thereby removing those devices from the console. There is no means of disabling or reconfiguring the software from the client GUI. There are no tasks available to users from the GUI. 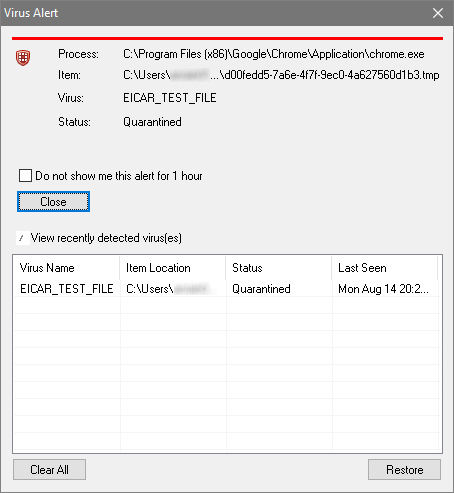 The Sentinel Agent registers as virus protection in Windows Security Center. Windows Defender is disabled. 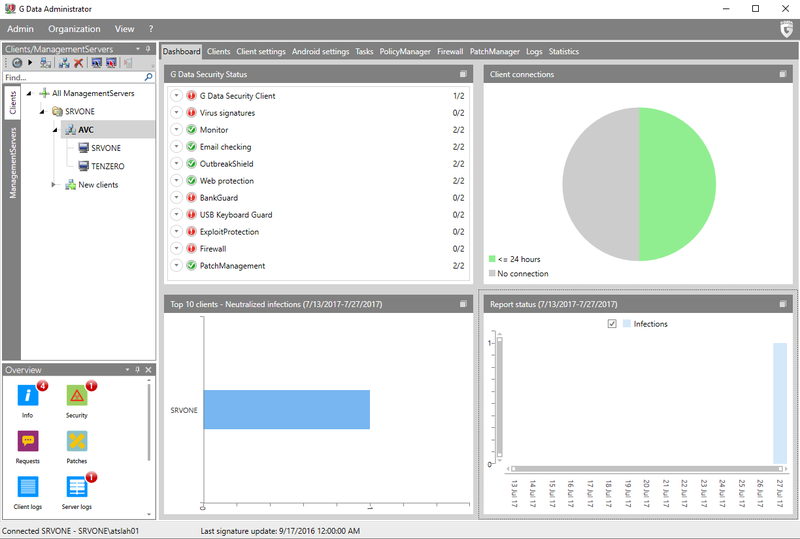 Trend Micro OfficeScan uses a server-based console to manage Windows clients and servers. 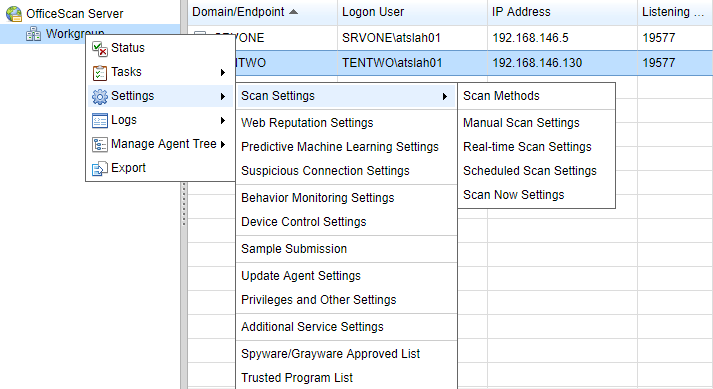 Trend Micro OfficeScan does not include the full discovery and investigation features often associated with EDR products, although these are included in another product, Trend Micro Endpoint Sensor which can be centrally managed with OfficeScan via the Trend Micro Control Manager. 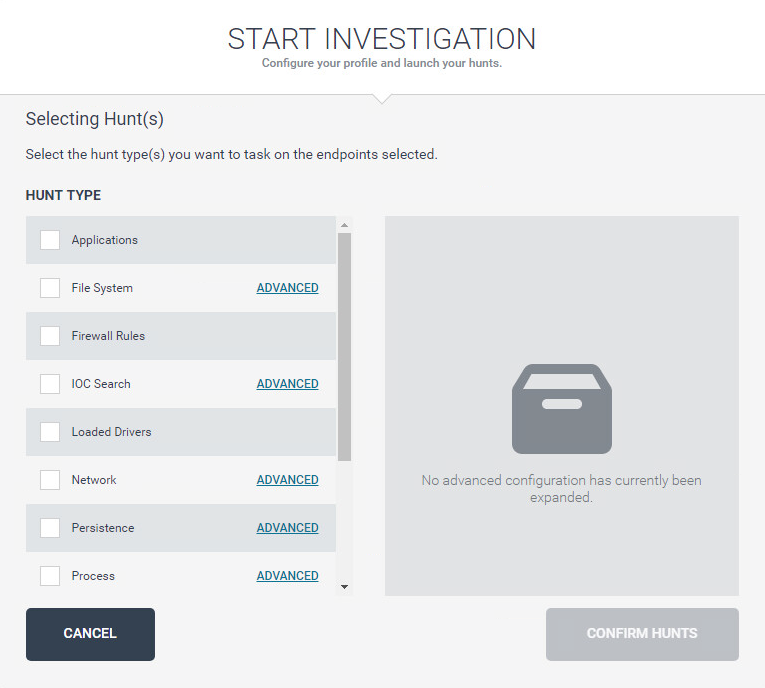 Endpoint Sensor is an investigation tool designed to speed the discovery, investigation and response to security incidents. 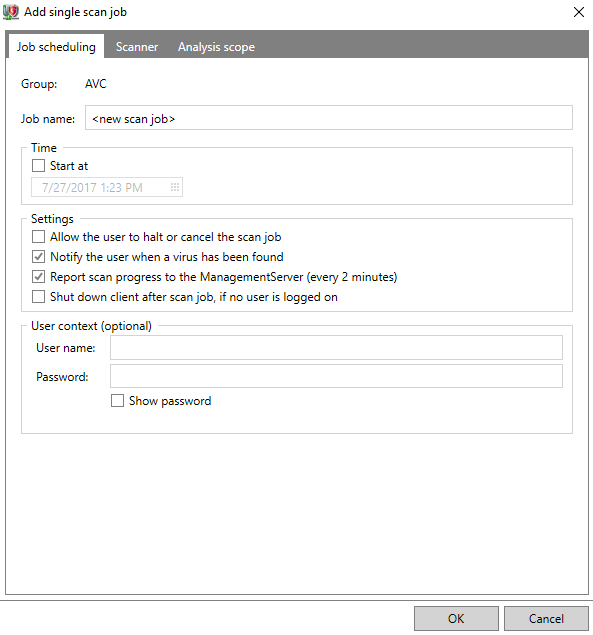 Trend Micro OfficeScan provides a sophisticated management console that could be used to manage larger corporate networks, but which nonetheless provides a straightforward interface that makes essential tasks and information easy to access. In our test, we found the process of installing the console and deploying client software to be very efficient and unproblematic, and we were impressed with the speed at which client computers reacted to commands from the console. To install the management console server on the server, the admin runs the installer file and completes a straightforward setup wizard. The console can be navigated by a row of drop-down menus along the top of the console. These are shown on the Dashboard (home page of the console. Items shown include the status of managed computers, threats discovered, and details of ransomware detections. This can be seen by clicking on Agents, Agent Management and the workgroup/domain name under OfficeScan Server. A wide variety of information is shown for each client, and the order of the columns can be rearranged by drag and drop. By default, users cannot change protection settings without entering the password for the administration console. Users can run updates and scans from the user interface. 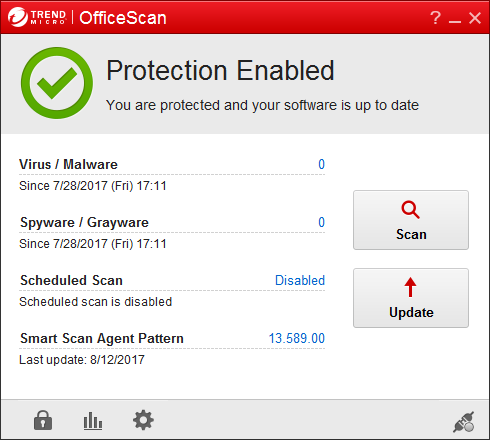 Trend Micro OfficeScan registers with Windows Security Center as the antivirus and firewall programs. 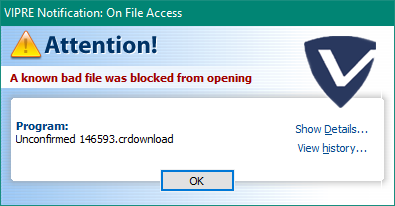 Windows Defender is disabled, but Windows Firewall is not. The alert persists until the user closes it. No user action is necessary. Protection can only be enabled/disabled from the console. This can be regarded as identical to the client software, although by default the Trend Micro Firewall is not installed. 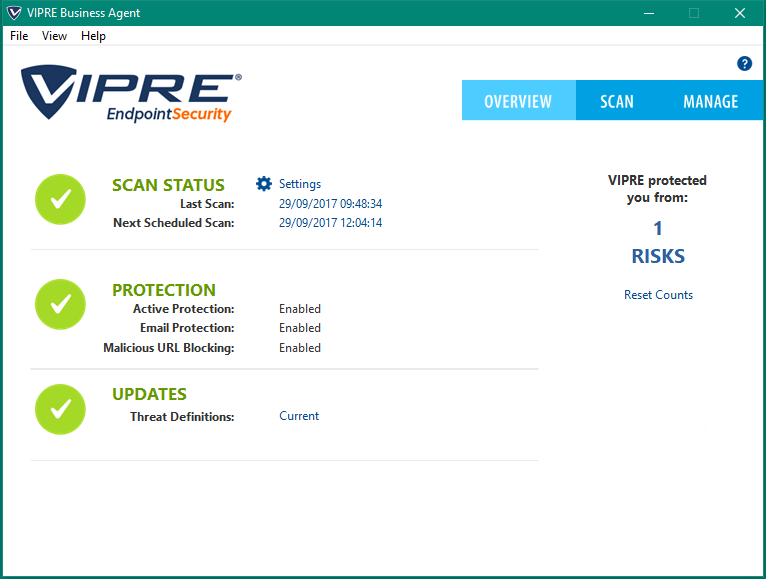 VIPRE Endpoint Security Cloud uses a cloud-based console to manage endpoint protection software for Windows clients and servers. VIPRE Cloud does not currently include any EDR features. VIPRE Endpoint Security Cloud provides a very simple, easy-to-use console that makes deployment and everyday management of endpoint security software quick and straightforward. Even less-experienced administrators will find both the management console and the endpoint software very clear and intuitive, making the product an ideal choice for smaller businesses without full-time IT support. 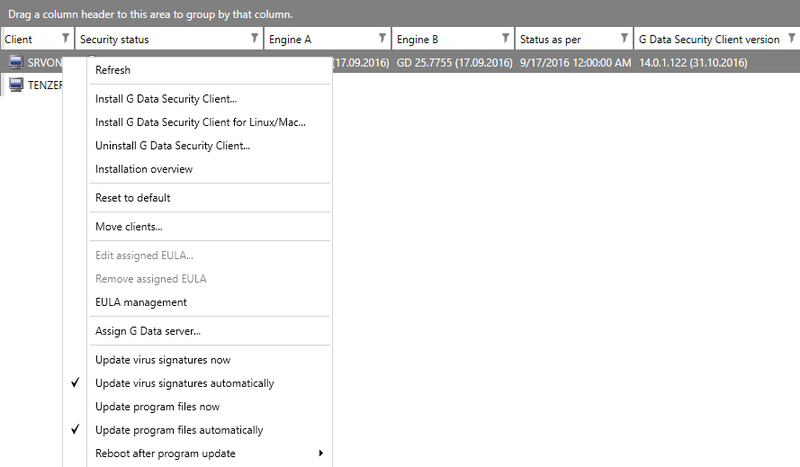 The console can be navigated from a left-hand menu column, with links to the pages Dashboard, Quarantine, Reports, Devices, Policies, Exclusions, System, Deploy Agents, and Help. The menu panel can be collapsed to show just the icons, or expanded to include text. These are shown on the Dashboard (home) page of the console. Various panels show Quarantine, Devices Needing Attention, Detection Sources, Top 10 Threats, Top 10 Devices with Threats, Severity Breakdown, Protection Summary, and Agent Version Spread. By default, users cannot disable protection features on the endpoint protection software. Users can see status, and run scans and updates. VIPRE Business Agent registers in Windows Security Center as the antivirus program. Windows Defender is disabled. Protection can only be reactivated from the console. As part of the certification of business security products, we ran a Real-World Protection Test using our Real-World Testing Framework. To get the Approved Business Product Award, the reviewed business products had to achieve at least a 90% protection rate, with no false positives on business-related software. This year, we are once again pleased to report a very high overall standard, and that all the products reviewed receive our Approved Business Product award. Avast for Business Premium Endpoint Protection is an endpoint security product with a cloud-based and on-premise console. We would say it is particularly suitable for small businesses without full-time IT staff. The well-designed console makes essential functions very easy to find, and the client software is familiar and equally easy to use. Barracuda NextGen Firewall functions as an appliance that monitors and controls traffic to and from a company LAN. For larger companies with mostly office-based staff, it provides a whole new layer of protection, and can be used in conjunction with a client-based endpoint security product for maximum protection. Bitdefender GravityZone Advanced Business Security is available in two different configurations. We have reviewed its cloud-based console (although an on-premises version in the form of a preconfigured virtual machine is available). Its clear design and customisation options make it very easy to use, and only minimal training would be required for non-expert administrators. 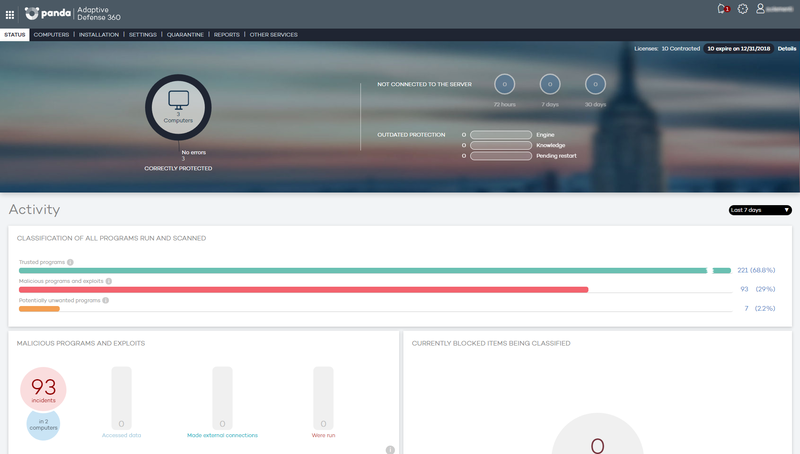 CrowdStrike Falcon Endpoint Protection requires some learning of new management techniques, but uses a well-designed cloud console that makes it easy to access features. It is probably better suited to larger businesses. Emsisoft Enterprise Console is administered by an easy-to-install, server-based management console. Both this and the endpoint protection software are clearly designed and easy to navigate, making everyday administration an easy task for all administrators. 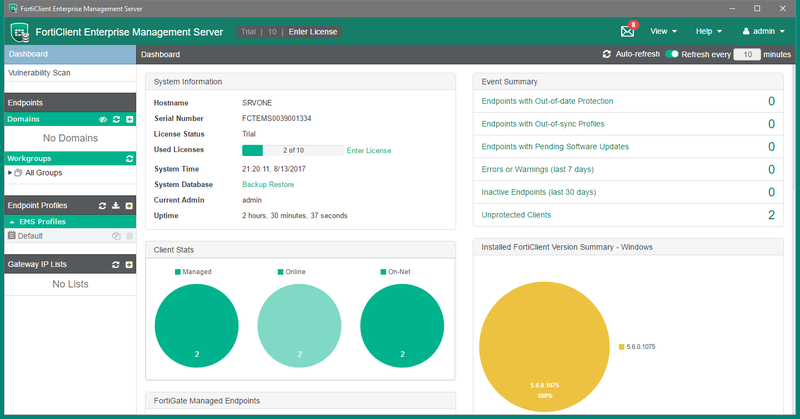 Endgame Protection Platform is available as an on-premises or cloud-based console. Whilst it requires learning some new management techniques, its console is well designed and easy to navigate, making it straightforward to discover the product’s functionality. We feel it is better suited to larger companies with their own IT departments. 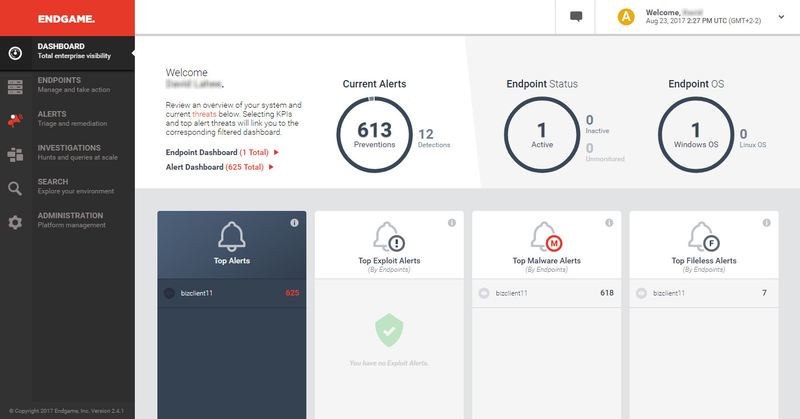 Fortinet Enterprise Management Console is a very well-designed, server-based modern administration tool for managing endpoint protection software. Good documentation makes deployment easy, and non-expert administrators would be able to perform day-to-day administration tasks with minimal training. F-Secure Protection Service for Business uses a cloud-based console for the management of endpoint security software. The very clean, simple and modern design of both console and client software make essential features very easy to find, and consequently we feel the product is especially suitable for small businesses without full-time IT staff. G Data Business Security provides an endpoint security product with a server-based console. Experienced administrators will feel very much at home with installation and deployment, and non-expert administrators will have no difficulty with everyday management tasks. 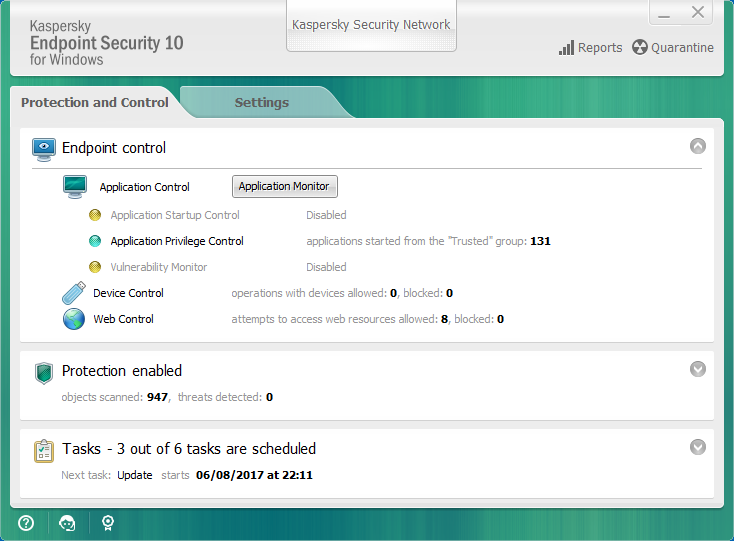 Kaspersky Endpoint Security for Business Advanced has a server-based console. It uses Microsoft’s MMC console as a foundation, making it very familiar and easy to navigate for Windows administrators. It is a fully scalable solution, facilitating comprehensive management and easy separation of administrator responsibilities, all from a single, unified console. Palo Alto Networks Traps is typically supplied as an on-premises server solution, and is probably best suited to larger companies with their own IT staff. Although some new management techniques are required, the console design makes it easy to discover and use the product’s features. Panda Adaptive Defense 360 is managed by a well-designed, clearly laid-out cloud-based console, which would be very straightforward for less-experienced administrators to use. This makes it particularly suitable for small businesses, while its EDR features will make it appealing to corporations too. SentinelOne Endpoint and Server Protection provides a choice of server-based or cloud-based consoles. Whilst the nature of the product means that the admin will have to learn some new management techniques, the console is very well designed and easily navigated. Comprehensive information on threats and activities is provided. 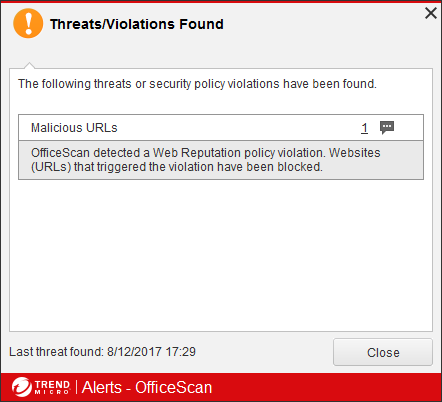 Trend Micro OfficeScan uses a server-based console to manage endpoint security software. Whilst it is capable of managing larger networks, we found it very simple and unproblematic to install and use, meaning that it would be suitable for smaller companies too. 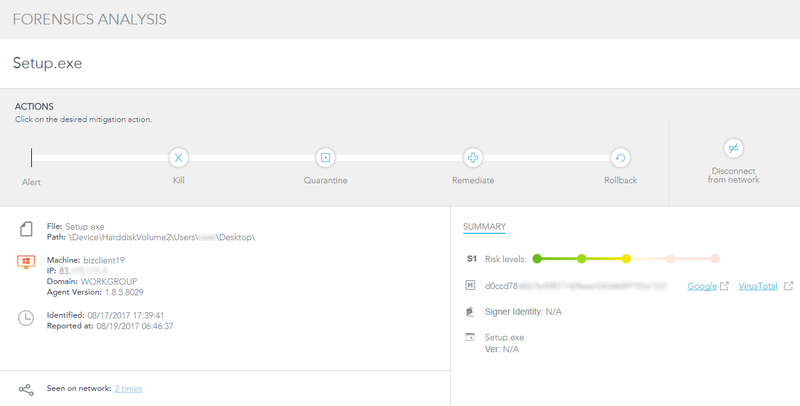 VIPRE Endpoint Security Cloud uses a cloud-based console to manage endpoint security software for Windows clients and servers. We found it extremely simple to use for all deployment and management tasks, and it thus stands out as an ideal solution for smaller businesses without permanent IT staff.